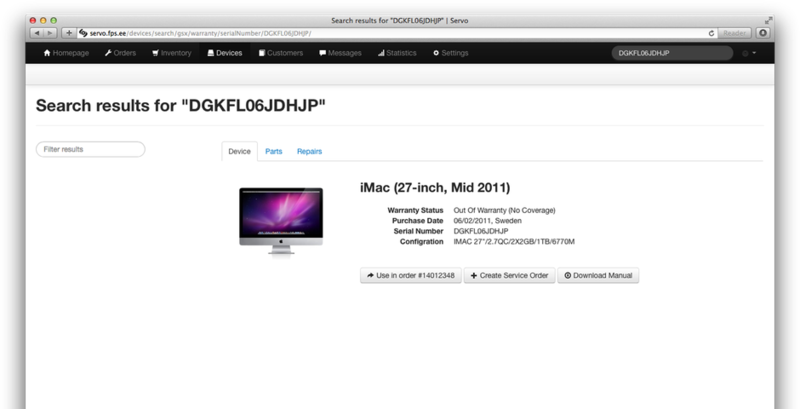 Servo is a full-featured Service Management System designed for the needs of Authorized Apple Service Providers. Engineered and developed by people who use it, Servo gives you all the tools you need to run your service while saving time and increasing productivity. 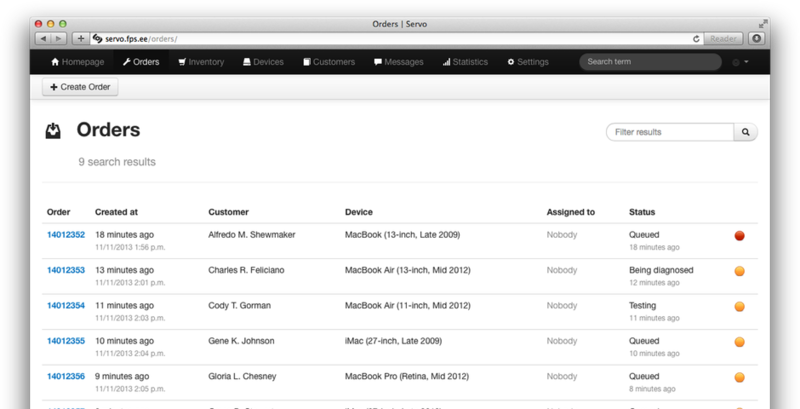 Track and manage service cases, customers and their devices. 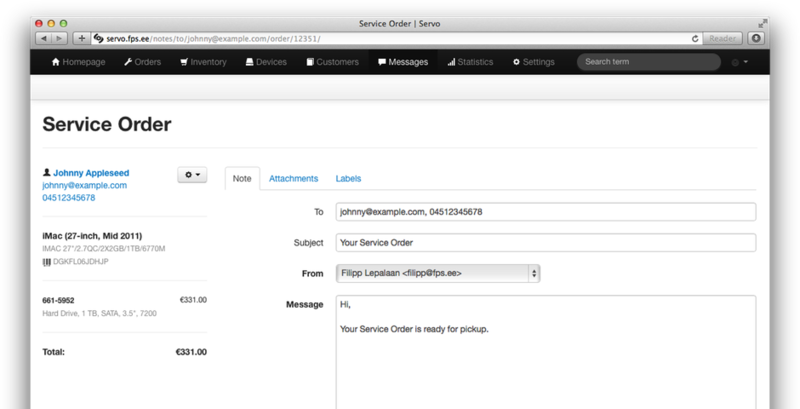 Manage inventory, service part logistics and communicate with customers. All of this while also integrating seamlessly with GSX. 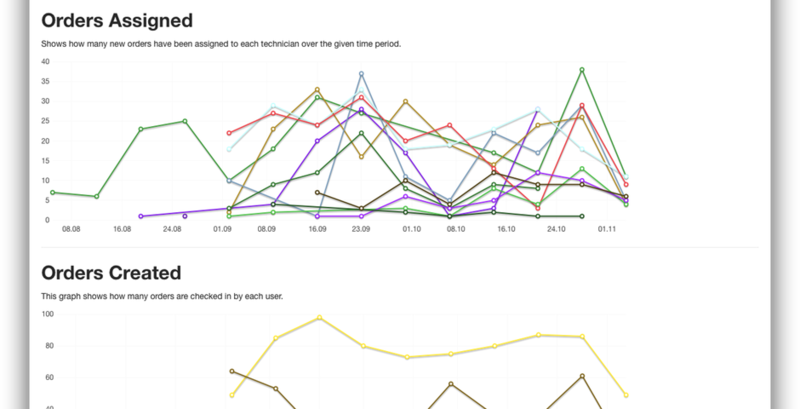 Configure separate queues for any type of work that you do, assign technicians to specific queues, then create statuses with different time limits for each queue. The way you want it to work is the way it's supposed to work. 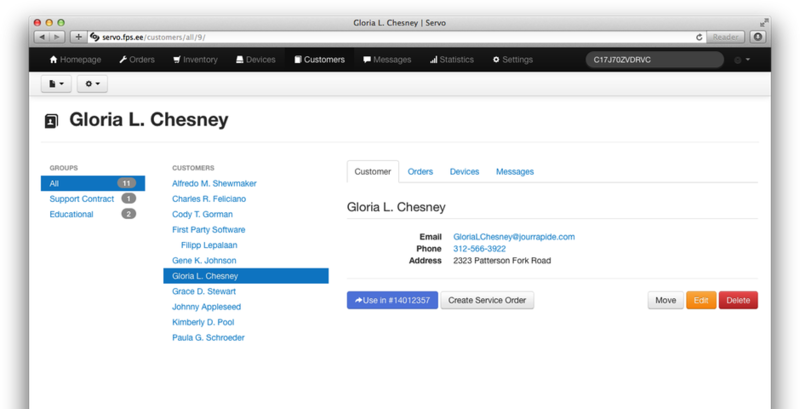 Search your entire service database instantly for by any criteria. 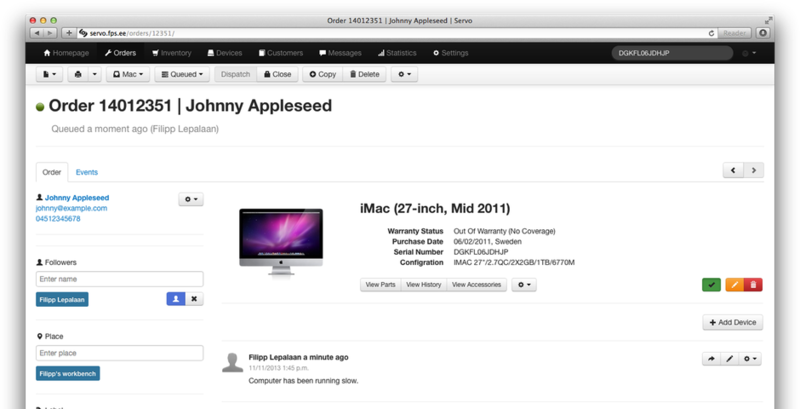 A tool you use every day should be fast and friendly, just like the product support. 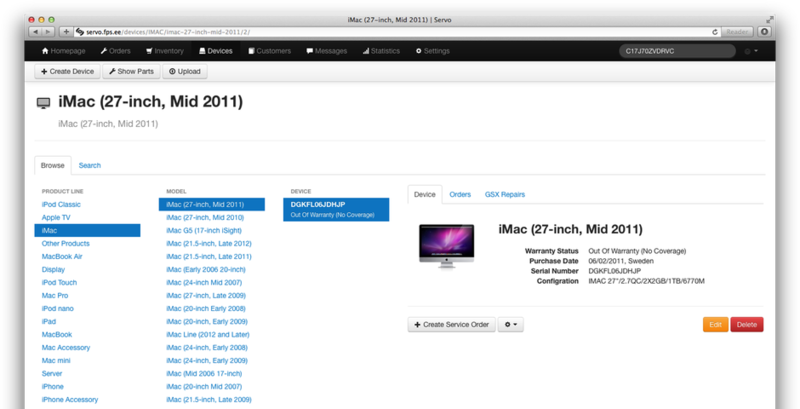 First Party Software makes better tools for people working in the Apple IT sector. We know what Service Providers need because wa have worked in the same field ourselves for over 13 years.